Posted by Erik Asarian on Thursday, November 22nd, 2012 at 2:46am. 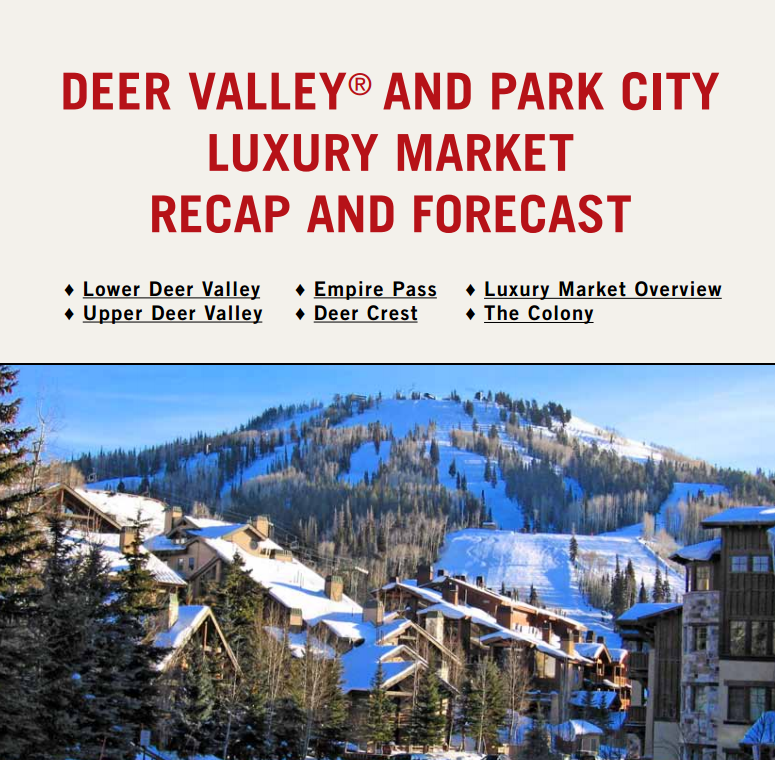 We just posted our most recent Deer Valley & Park City Luxury Market Recap & Forecast! Recaps of the Deer Crest, Upper Deer Valley, Lower Deer Valley, Empire Pass, The Colony, and the greater Park City Luxury Market. In the report, you'll be able to research specific sales, market trends in your favorite target neighborhoods, and read our forecast for the coming quarter and where we see the best opportunities for buyers and sellers of Deer Valley Real Esate.